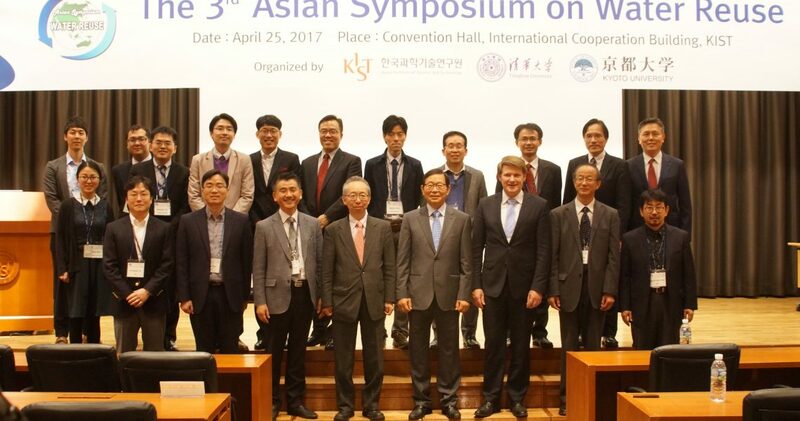 Watershare partner KIST organized the 3rd Asian Symposium on Water Reuse on the 25th and 26th of April 2017 in Seoul. The chairs of the symposium were Prof. Seockheon Lee (Korea Institute of Science and Technology, Korea), Prof. Hiroaki Tanaka (Kyoto University, Japan) and Prof. Hong-Ying Hu (Tsinghua University, China). Europe was the special guest and was represented by Idsart Dijkstra (KWR, the Netherlands). 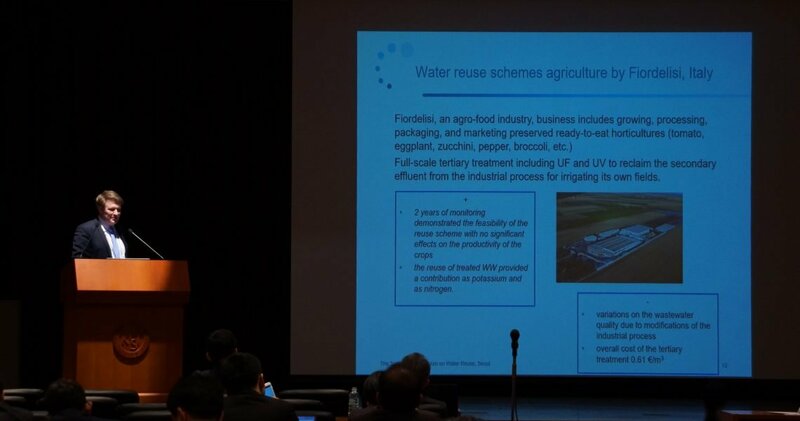 The current and future plans on water reuse in Korea were presented. The topics of presentations included water-quality control, biological risk and other challenges. One of the keynote lectures was about the results of the European 7th Framework Programme DEMOWARE project. During the field trip on the 26th of April, one of the wastewater treatment plants was visited. The tour was conducted by Dr Deuk Mo Chung of Seoul Water Institute. Seoul Metropolitan is divided into four sectors for wastewater treatment, of which Seonam is the largest, with a capacity of 1.63 million m3 per day. Recently the tertiary treatment process for wastewater treatment was commissioned with a capacity of 3,000 m3/day for toilet flushing and gardening purposes in Magok (a future residential area). The plans are to modernize and cover the wastewater treatment plant with a green park and exhibition center.The project is expected to be completed in 2035. As a result, approximately 400,000 inhabitants will have water reuse implemented in their homes. 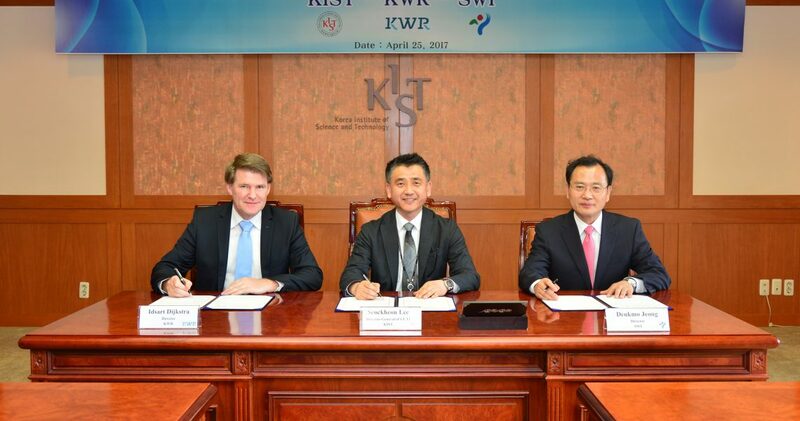 On Tuesday the 25th of April, the Memorandum of Understanding (MoU) on the application of the ‘City Blueprint’ Watershare tool was signed between Seoul Water Institute (Seoul Metropolitan Government), KIST and KWR. Read more about this project and the City Blueprint tool.